She may be Irish, but Hazel Gaynor has plenty to be thankful for on this American holiday eve. After self-publishing her debut novel last year, she wound up attracting the attention of a phenomenal agent* in NYC, scoring a two-book deal with William Morrow (including a reprint of her debut), and becoming one of those stories writers tell each other when they’re in dire need of hope. This week, she talks about her amazing journey to publication, and reminds us all why giving up should never be an option. 1. You have one of those publishing stories that thousands of aspiring authors dream about. After several attempts at getting a traditional publishing deal, you decided to self-publish. How did that decision come about and how did you feel at the time? I was incredibly nervous about self-publishing The Girl Who Came Home and, to be honest, very disappointed that things hadn’t happened the “traditional” way after trying for three years. My agent at the time suggested I self-publish and my family also offered me huge encouragement, but the major factor in my decision was the approaching Titanic centenary in April 2012. I knew that if I published my book to coincide with that event, I would give myself the best chance of success, as it was timely, relevant and based on a subject matter which was seeing a huge resurgence of interest. I felt it was now or never and that was the final motivation to pluck up the courage and send my book out into the world. 2. Spreading the word is one of the most daunting aspects of self-publishing. What did you do to get your title out there? As a writing mum, I didn’t have huge amounts of free time to promote my book (this was very much done at the bookends of my day), so I utilized the existing social networks I was part of – my blog, Twitter and Facebook – to let people know the book was available. I was very conscious of not making these interactions all about “buy my book.” Readers are much more likely to engage if you offer them interesting additional content – an article, a blog post or an image – relevant to your novel’s subject matter. I spoke on radio and TV and approached bloggers and relevant websites to write guest posts or review the book. I also took advantage of the Kindle KDP ‘free download’ promotion. I only did one free download day, which resulted in the book’s rankings shooting up the charts. I also believe the cover had a lot to do with the appeal of the book. 3. You certainly did something right, because The Girl Who Came Home went on to sell just under 100,000 e-book copies and led to a two-book publishing deal with William Morrow. I won’t ask how that made you feel, as I’m sure the answer is ecstatic. But what did that development teach you about the industry and your writing? What did you learn during the process? I still can’t quite believe it! I had been writing for four years before I got my deal and had been through so many disappointments and near-misses. I had four novels written at the time (two “under the bed,” one self-published and one new manuscript). I think, more than anything, I learnt that you can’t just write one novel and hope that will be enough. Despite all my setbacks and even with the success of The Girl Who Came Home, I kept writing and had completed another novel by the time my agent approached me in May, 2013. I also guest blogged for a large writing website in Ireland, I attended book launches and conferences, I approached agents and publishers, I interviewed authors and reviewed their novels and I supported other writers. I kept in touch with what was happening “out there” in the publishing industry and I’m convinced that this all helped get me to where I am now. 4. So now, the self-published version of The Girl Who Came Home has been retired and will be re-released April 1, 2014. What do you think people will love most about this book? What do you love about the story? I am so excited about the republication of The Girl Who Came Home next year! It has been such a wonderful experience to work with the excellent team at William Morrow and it still blows me away to think that people sit in meeting rooms in New York and discuss MY book! I hope that readers will love the story of Maggie and the others she travels with from Ireland, and that they will see a different aspect of the Titanic disaster through her eyes. 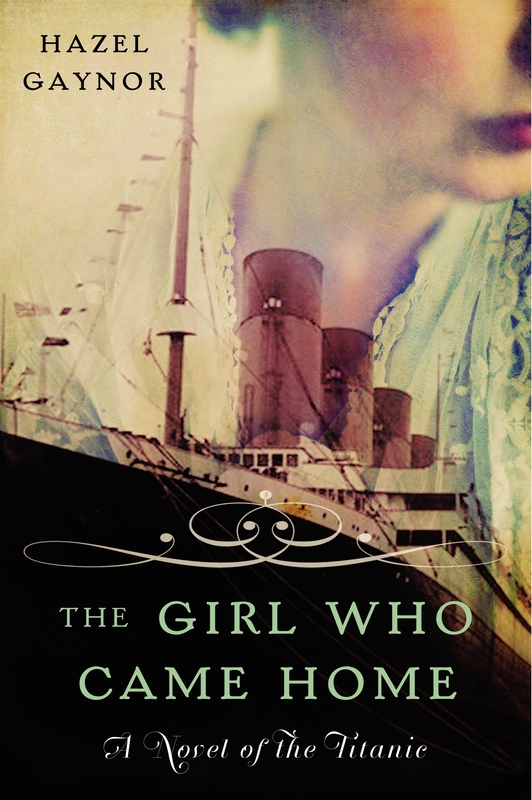 It was the experience of steerage passengers which I really wanted to tell in this novel and, living in Ireland, I was intrigued by the Irish connections to Titanic. I also wanted to explore the aftermath of the disaster. What happened in the lifeboats? What was happening in New York when the news hit? How did relatives in Ireland hear about the disaster? I felt that it was these aspects of the Titanic tragedy which were less well-known. I love the hope and determination of Maggie, and her relationship with her great-granddaughter, Grace and I hope readers will love my characters, and their stories, as much as I do. 5. What about your second book? What can you tell us about what you’re working on now? My second novel, Daughters of the Flowers, will be published in early 2015. It tells the story of two sets of sisters and is set around a charity for crippled and orphaned flower sellers in Victorian/Edwardian London. I love the era and the atmosphere of street life in late Victorian London and it was a wonderfully haunting period to explore. The novel was inspired by true events and when I started my research I was captivated by the heart-breaking stories of small children who spent their days selling flowers on the streets of London. I am so excited to share their story in my novel. 6. What is your writing process like? Do you write in silence? With music? In a coffee shop? Do you outline? Start with a scene? The first line? The ending? I am, so far, a pretty disorganized writer! I have great plans to organize myself for the next book – we’ll see. At the moment, I write in silence in my attic room at home. It is a lovely light, spacious, airy room and when I close the door I can forget all about everything else. I write from early morning after my two boys have gone to school, until they come home, between 1 pm and 2:30 pm. I tend not to do any creative writing in the afternoons but focus on admin, social media, guest blog posts etc. in between building Lego rockets and organizing playdates and cooking the dinner. It’s hectic and chaotic, but it seems to work – somehow! In terms of my writing process, I always start with research so I have a clear sense of the character, the period and the story I’m telling. Then I dive in and write the opening chapters. I’m far too excited at that stage to make myself sit down and plan everything out. I just want to get started! I often write an idea for the ending – but that will usually change before the end of the first draft. I’m getting much better at writing first drafts – although I do like to polish my first 3-5 chapters so I get a really good sense of voice and place. 7. There are many rough patches on the road to publication. How do you weather those storms? Oh, if only I had a magic formula! It is soooooo hard. I honestly don’t know how anyone weathers those storms, but we somehow do. I think, above everything, it has been my love of writing which has kept me going. I have literally sat, sobbing at the laptop, so broken hearted, and yet unable to stop the ideas coming for the next book. I think it boils down to this: the prospect of dusting myself off, sitting down and carrying on – even with the possibility of more disappointment – was better than the prospect of giving up. I also think being from Yorkshire has helped. We’re made of pretty tough stuff! 8. Do you have any advice for aspiring authors who are toeing the self-publishing line? In addition to writing, Hazel runs a blog calls “Whims & Tonic” (how great is that name? ), which you can find here. You can also connect with her via Twitter, Facebook, Pinterest and Goodreads. If you are a published/soon-to-be-published author and would like to be interviewed for Skipping Midnight, please click here. What a dream come true. Congratulations Hazel. Yes, a million congratulations on a job very well done! What an inspiring post! 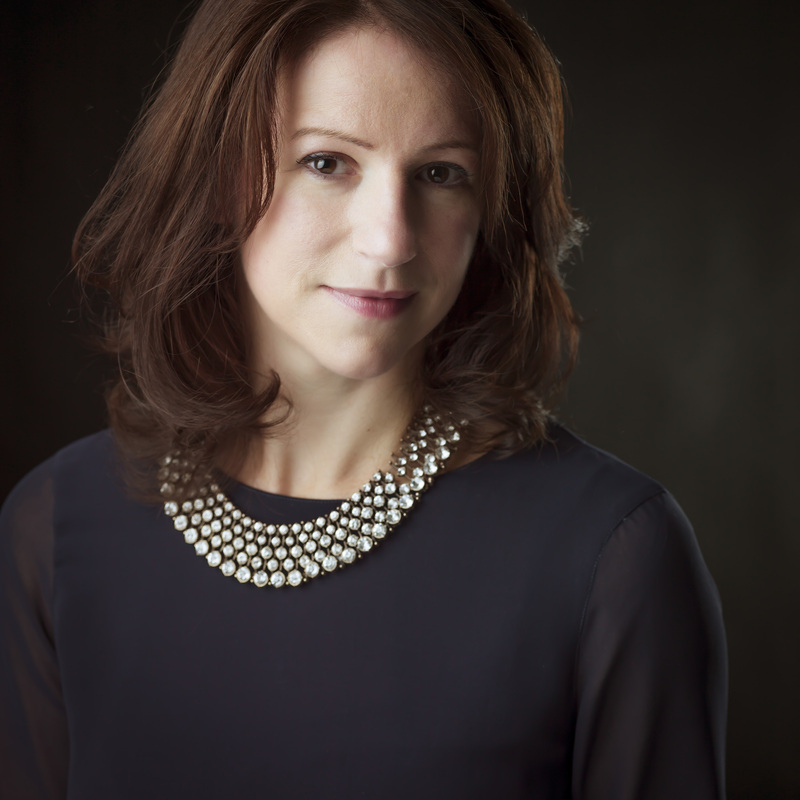 Thank you Hazel for sharing your insights and congrats for making it onto the traditonal publishing world – the holy grail of most (if not every!) Indie author. I saw myself in your accounts more than once and this gave me even more determination to press on, never to give up until the miracle finally happens. We all strive so hard and we often face so much frustration that posts such as this one become precious gems on our path that we put carefully under our belts like comforting keepsakes. Thank you! Will make sure to get hold of your novels, they sound like fantastic reads. God bless and enjoy your well-earned success! Thank you for taking the time to write such a lovely comment. Hazel’s story really is an inspiration. I’m so glad you thought so too! Good luck on finding your dream ending too! It was truly my pleasure Hazel! Thank you for participating, and for inspiring all of us!